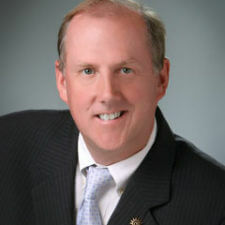 J. Clinton Mabie joined the Community Foundation for Southern Arizona as President and CEO in May of 2010. Mr. Mabie started his career in the nonprofit sector in 1992 after jobs in advertising and commercial real estate. During his nonprofit career, he served as Director of Development of The Golden Apple Foundation, founder of the Center of Teaching and Learning which teaches educators how to incorporate technology into the classroom, and was a high school teacher in the Chicago Public Schools. Most recently, Clint served as Director of Donor Services and Program Development at the Chicago Community Trust. During his tenure, donations increased from $15 million to $90 million annually and grants from donors increased from $1 million to over $45 million annually. Clint also created the Trust’s Poverty Initiative, Return on Chicago and raised over $20 million in funding. Mr. Mabie received a Bachelor of Arts degree from Ohio Wesleyan University, a Master of Management from J.L Kellogg Graduate School of Management at Northwestern University and a Master of Arts in Teaching from National-Louis University. 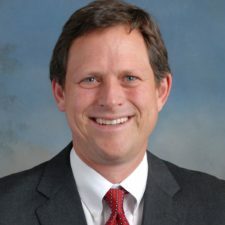 Clint currently serves as a board member of the Tucson Values Teachers, and Arizona Grantmakers Association, and is a member of the Southern Arizona Leadership Council and Tucson Regional Economic Organization. He has served on nonprofit boards for over 20 years including, The Community Mental Health Council, National-Louis University and the Chicago District Golf Association. Clint is married to Debi and has three children, Chess, Clark and Martha. 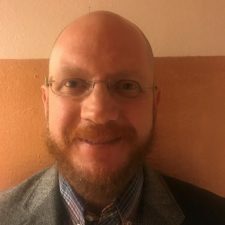 A native of rural upstate New York, Mr. Renaud earned his Bachelors and Master of Science in Business Management from the State University of New York Institute of Technology, Utica, NY. Mr. Renaud began his financial services career with a small regional commercial bank in upstate New York, moving to Phoenix in 1999, pursuing an opportunity in the software industry and of course, a change in climate. In 2003, Mr. Renaud re-entered the financial services industry, finding himself in credit unions; deeply appreciating the mission of people-helping-people, as supported by a member owned financial cooperative. 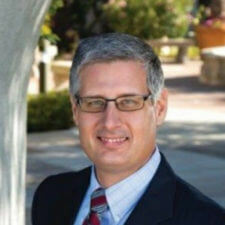 In December 2011, Eric moved to Tucson, accepting a position as Chief Financial Officer at Pima Federal Credit Union. Mr. Renaud is currently the Executive Vice President & CFO, and was recently named President/CEO of Pima Federal Credit Union. Eric has been married for 26 years to Christine and has three adult children. Oldest (Philip) in the Navy submarine service, second (Stephen), a student at Pima Community College, finishing his program at the Aviation Maintenance program, the third (Bethany), a student at the UA. 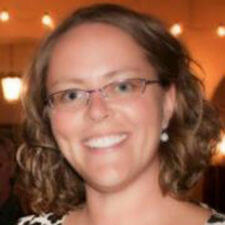 Stephanie Healy is the Director of Public Affairs for COX Communications in Southern Arizona. In her position, Stephanie oversees government affairs, public relations, community development and media relations for the Southern Arizona market, which includes COX’s residential and business products in Pima and Cochise Counties. Previous to her position with COX Communications, Stephanie was Executive Vice President for Southern Arizona Leadership Council (SALC). Stephanie has served in a number of community leadership positions including Past President of the Arizona Association for Economic Development, Past Chairman of American Heart Association’s Go Red for Women and past Vice Chair of the Pima County Workforce Investment Board. Current community involvement includes the City of Tucson’s Economic and Workforce Development Commission, executive committee and Board member of Arizona Forward, member of the DM-50, Komen Advisory Council member, Pima College High Technology Steering Committee member, Grand Canyon University College of Nursing Advisory Committee member, Silver and Turquoise Board of Hostesses and the Friends of Saguaro National Park Board of Directors. 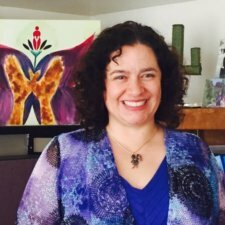 In 2006 Stephanie was honored to be named Woman of the Year by the “Tucson Citizen’s Business Edge.” She has been a Tucson resident for nearly 20 years after relocating from the Chicago area. She is married to Tim Healy, Vice President of Brokerage Services for CB Richard Ellis in Tucson, and they have two children. Brian Stewart is a nurse and educator who has been working in higher education for over 20 years. As a first generation student he has experienced the challenges of College and strives to model what you can achieve with strong support systems. His degrees in Fine Arts, Nursing, Education and Health Systems have prepared him as the Dean of Education and Student Affairs at Pima Community College. Applied research in student support models and a need to give back have driven him to pursue grants totaling over $40 million in the last 10 years that have directly helped students and he continues this pursuit with neuroscience and behavioral science focus in how we can improve teaching, the student experience, and the employee/employer relationship. Dr. David Baker is the superintendent of Flowing Wells School District. His career began as a fourth grade teacher in Flowing Wells. Dr. Baker has worked as a principal in both the Flowing Wells and Amphitheater School Districts. As an associate superintendent for ten years, he was responsible for overseeing assessment, curriculum and instruction. As superintendent, Dr. Baker is focused on creating an environment of high academic expectations. He is committed to providing a wealth of diverse opportunities for students to pursue personal interests and achieve individual goals. To that end, the District is engaged in a 100% Initiative, designed to encourage and assist all students to successfully matriculate into a post-secondary experience. Dr. Baker is a member of the Old Pueblo Rotary, the Board of Tucson Values Teachers, and the Pima County Cradle to Career Initiative. Mr. Chesin provides financial management and oversight of the organization’s endowment, community investments and internal operations. As part of the senior management team, he helps guide organizational strategy and leads the human resource and technology infrastructure responsibilities. Mr. Chesin is a Certified Public Accountant and has experience in the for-profit and non-profit sectors. 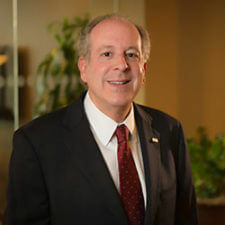 Prior to joining Helios Education Foundation, Mr. Chesin was Controller and Assistant Treasurer for Southwest Student Services Corporation, a $5.3 billion student loan and financial services company, where he directed the financial affairs and provided strategic financial advice to the organization’s senior management. Prior to his work at Southwest, he spent 15 years doing general accounting and financial analysis for national Certified Accounting Firms and real estate companies. Mr. Chesin is active in the community and currently serves on the boards of the Arizona Society of Certified Public Accountants, Genesis Academy, and Tucson Values Teachers. He is a member of the American Institute of Certified Public Accountants, the Arizona Society of Certified Public Accountants and the Phi Beta Gamma Sigma National Honorary Society. He was also a CFO of the year nominee for the Financial Executives International, Arizona Chapter, in 2014. He was also recognized by the Phoenix Business Journal as an Outstanding Chief Financial Officer in October 2015. Mr. Chesin earned a Bachelor of Science degree in Business Administration from the University of Arizona. Jennifer is the Education Outreach Representative for Tucson Electric Power where she has worked for 14 years. In her position, Jennifer manages the academic educational programs offered to local schools and helps to provide resources directly to teachers for use in their classrooms. Jennifer’s duties also include government relations and public policy activities at the state and federal levels. Jennifer came to Tucson in 1998 after serving in the U.S. Air Force. She holds a bachelor’s degree in Business Management and a Master of Education in Human Relations. She is active in her local school district, where her 12-year-old son attends school. They enjoy traveling and giving back to the communities they travel to by donating school supplies to area schools through the Re-Pack Project. They have visited schools in Peru, Thailand, South Africa and Fiji. Tina brings more than 10 years of banking experience to her business clients and the Tucson community. As Vice President and Senior Business Relationship Manager at Chase, she is able to provide a full array of banking solutions to meet the needs of area businesses. 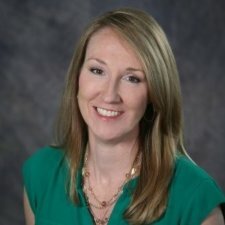 By building strong client relationships, Tina is able to offer unique value, insight, and access to an extensive team of banking service experts, working together to help local companies grow and succeed. Tina and her family spend their free time camping and exploring our beautiful desert surroundings, enjoying all the region has to offer. Having lived in Tucson for over 30 years, she is passionate about the work she does for Chase business clients and the community and has a vested interest in the health and success of our local economy. 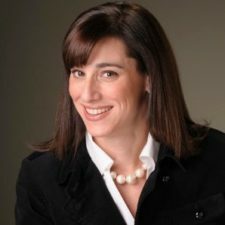 Kim Ernzen is vice president of the Land Warfare Systems (LWS) product line at Raytheon Missile Systems (RMS) in Tucson, Arizona. LWS offers the world’s most comprehensive array of battle-proven land combat systems solutions. Raytheon Company (NYSE: RTN), with 2017 sales of $25 billion and 64,000 employees, is a technology and innovation leader specializing in defense, civil government and cybersecurity solutions. Raytheon is headquartered in Waltham, Massachusetts. Before this appointment, Ernzen served as vice president of Operations for RMS, where she was responsible for all product manufacturing, facilities, and environmental, health and safety functions. 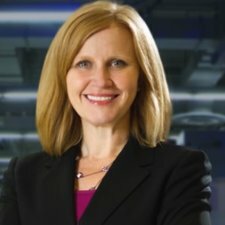 Previously she also served in roles as the senior director, general manager and customer business area director of Raytheon’s Advanced Products Center (APC) in Dallas. These positions saw her lead an organization responsible for the design and manufacturing of complex RF subsystems and components. She was responsible for all aspects of the execution of these programs, including leading the Program Management and Operations organization. 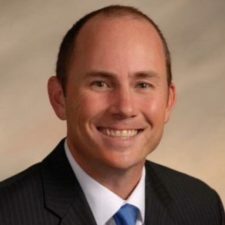 Prior to joining APC in Dallas, Ernzen worked for the former Raytheon Aircraft division in Wichita, Kansas, for more than 10 years. She had roles of increasing responsibility starting in engineering as a project engineer, customer support leading the Technical Support organization, and her las assignment as the Light Jets product line director. As the product line director she had profit and loss responsibility for two product lines that included responsibility for all new product development, production support, product delivery and field service support. Ernzen has also previously served on both the Wichita Children’s Home board of directors and the Junior League of Wichita board. Ernzen holds a bachelors and masters of science in aeronautical engineering from Wichita State University and an Executive MBA from Wichita State. While at Wichita State for her undergraduate degree, she was a member of the women’s golf team. She is also a graduate of the Raytheon Engineering Leadership Development Program (ELDP), Principles of Program Leadership and has completed numerous other Raytheon leadership courses. Chris Gutierrez has spent 5 years as a principal, and was an assistant principal for 6 years prior. Most of his administrative experience is in Title I (high poverty) schools. Prior to moving to administration he was a middle school special education teacher and coached multiple sports. 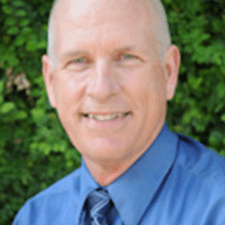 He holds a Bachelor of Science in Education from the University of Oklahoma, and Master Degree in Educational Leadership from Northern Arizona University. Throughout is tenure as Principal his school has participated in the Beat the Odds, in successive years the school was awarded the Bronze, Silver, and ultimately in 2016 received the Gold designation. He utilizes the 6 Beat the Odds principals in planning school improvement and leading his school. Dr. Bruce Johnson has a PhD in Education Psychology with a minor in Science Education and a MS in Environmental Education. He was previously an elementary and middle school teacher in Arizona and New Mexico and director of outdoor schools in New Mexico and Australia. Dr. Johnson’s research includes the teaching and learning of ecological concepts, development of environmental values/attitudes and actions, curriculum development, and teacher preparation. Dr. Johnson teaches in graduate programs in environmental learning and science education and teaches courses in research design and elementary science methods. He also serves as Director of the Earth Education Research and Evaluation (EERE) Team, which conducts research on children’s ecological understandings, environmental values/attitudes, and environmental actions and provides evaluation services to centers and schools offering educational programs related to the environment. 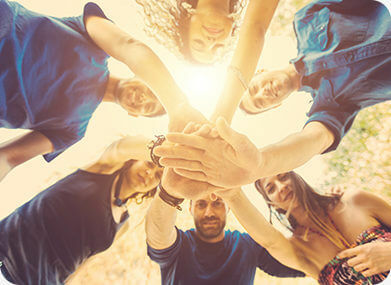 The EERE Team has conducted projects throughout the United States and in Australia, China, Cyprus, Czech Republic, and Spain. Dr. Johnson is currently Principal Investigator of the Teachers in Industry program, focused on keeping the best teachers in the profession while enhancing their ability to prepare their students for how science and math are used in the real world. Funded for four years by a grant from Science Foundation Arizona, and three years by Freeport-McMoRan Copper & Gold Foundation (through 100Kin10), Teachers in Industry is currently funded by the Thomas R. Brown Family Foundation. He was also Principal Investigator on a recently concluded $2.21 million grant from the National Science Foundation for “Beyond Bridging: Co-Education of Preservice and Inservice Elementary Teachers in Science and Mathematics” (Award No. DRL-1019860), designing a new model for teacher preparation. As Co-Director of the University of Arizona STEM (Science, Technology, Engineering and Mathematics) Learning Center, Dr. Johnson is working to create a regional STEM learning environment that redefines who is responsible for STEM learning, breaks the traditional boundaries of in-school learning, links university research, service and outreach with the real needs of K-12 education, and designs a STEM focus that reflects the needs of the region and the expertise of the partners. The Center brings together the STEM expertise, projects and resources of the University and community to ensure that all children in the region, even the most underserved, have access to high-quality STEM education from pre-K through university levels. Ted Maxwell brings a wealth of broad-based experience from his distinguished military career covering more than 29 years of service to our nation. Graduating from the United States Air Force Academy in 1984, he quickly established himself as a leader capable of motivating and managing a large diverse workforce. Ted brings extensive experience working with Congress and with foreign dignitaries. He represented the United States as the sole United States Air Force Exchange Officer for integration with the Belgian Air Force, a bilingual position. Working at Headquarters Air Combat Command at Langley Air Force Base in Virginia, Ted managed the growth of a multi-billion dollar program interfacing directly with U.S. and international chief executive officers, as well as a full range of military and Department of Defense leaders. I am passionate about education, equity, voice and choice. After graduating form Johns Hopkins University in 1995, I came back to Tucson and began working with charter schools. I believe that it is possible and necessary to create learning environments that are rigorous and lead to college enrollment while supporting the development of civic-minded citizens who are able to think critically and creatively while working to create the kind of world they wish to live in. I am pursuing my PhD at the University of Arizona in Language, Reading & Culture in Adolescent Literature and Literacies, Curriculum, Culture and Social Justice. This work allows me to connect my work with youth and teachers at ACPA and in the community with theory, research and practice at the university level. It is my hope that building connections between these sites and others will continue to create more opportunities for more teachers and students to exercise voice and choice in the classroom and in their lives. I serve as a charter representative on the UA PPB, United Way’s Cradle to Career Council and as a VIVA Teacher Leader. I have presented my original research at the Literacy Research Association conference and written blogs on education and educational policy for VIVA. I have also served on the non-profit boards of two local preschools and the Southern Arizona Association for the Education of Young Children. All of this comes together because I am committed to creating curriculum, undergirded by sound theory, research and professional development that creates opportunity, empowerment and access to college to youth living in Southern Arizona. In my personal life, I love to garden, travel and cook with my husband and two teenage children. I am actively involved in my community and work to support local candidates and issues. 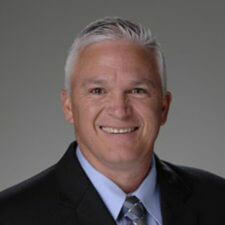 Andy Townsend is a longtime Tucsonan, graduating from Salpointe Catholic High School and the University of Arizona. Andy holds a bachelor’s degree in History, and master’s degrees in Elementary Education and Educational Leadership. After teaching for seven years in TUSD and SUSD, Andy served as an assistant principal at Challenger Middle School from 2011-13, and is currently completing his fourth year as principal of Elvira Elementary School. 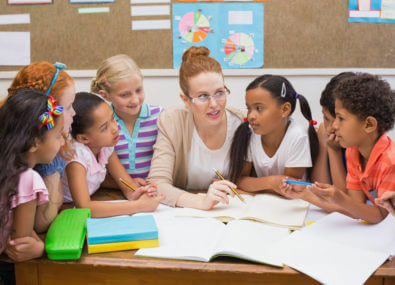 As a teacher, Andy was named a 2010 Rodel Exemplary Teacher, a 2011 Arizona Teacher of the Year Ambassador for Excellence, and a 2011 Crystal Apple Award recipient. 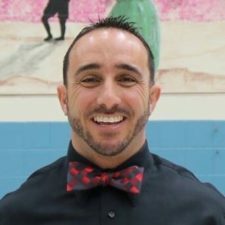 As an administrator, Andy was named to the 2014 “40 under 40” list by the Tucson Hispanic Chamber of Commerce, he earned the 2015 Arizona School Administrators Association Elementary Rookie Principal of the Year, and recently led Elvira Elementary to the 2017 Arizona Educational Foundation A+ School of Excellence Award. Colleen Niccum is the CEO of Tucson Values Teachers, a business and education nonprofit partnership focused on attracting, retaining and supporting teachers in Southern Arizona, an organization she helped to found in 2008. Previously she was Vice President of Education Policy for the Southern Arizona Leadership Council in Tucson where she was responsible for supporting the organization’s education policy agenda. Prior to joining SALC, Niccum retired from Raytheon Company following a 30-year career as a communications executive, which included responsibility for the company’s STEM education initiatives. In a unique partnership with SALC and the UA College of Education, Niccum also helped create and champion the Teachers in Industry program, which places graduate-level teachers in local STEM-related businesses for three summers. In 2015, the program was recognized by Change the Equation, a national organization of Fortune 500 CEOs, as one of the most successful STEM teacher retention programs in the nation. For her efforts in support of the community, Niccum was named the 2013 Tucson Woman of the Year. 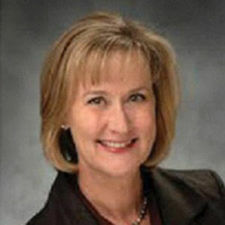 She also serves on the board for Expect More Arizona and the UA College of Education advisory board. 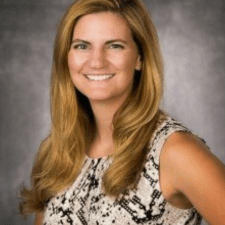 Katie Rogerson serves as Chief Operating Officer of Tucson Values Teachers. 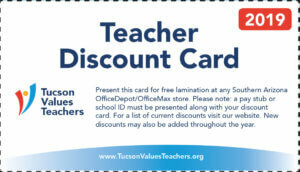 She joined Tucson Values Teachers in early 2012 as Director of Marketing and Outreach. Before joining TVT, Katie served as Marketing and Outreach Director for the Arts Integration Solutions at the OMA Foundation. Prior to this, Katie worked as a community and business development associate providing marketing services and managing daily operations to support a non-profit arts and education organization. In Boise, Idaho, Katie was also a landscape designer and co-owner of Nature’s View Landscaping & Design. Katie serves on the Boards of KXCI Foundation for Creative Broadcasting, Tucson Kitchen Musicians Association and the Winterhaven Townhomes Homeowners Association. Katie holds a Bachelor of Science, double major, Studio Arts, Environmental Science and a Technical Certificate in Horticulture.